I am currently working on some custom icons. I stumbled upon an article which addresses issues of optical effects and illusions of shapes. What I noticed is that the shapes shown in images provided in the articles look a lot smoother than mine. I tried few of ways to maybe reach that level of smoothness (increased ppi, checked art optimized and aligned them to pixel grid) but these attempts bore no fruition. Is it perhaps due to anti-aliasing? 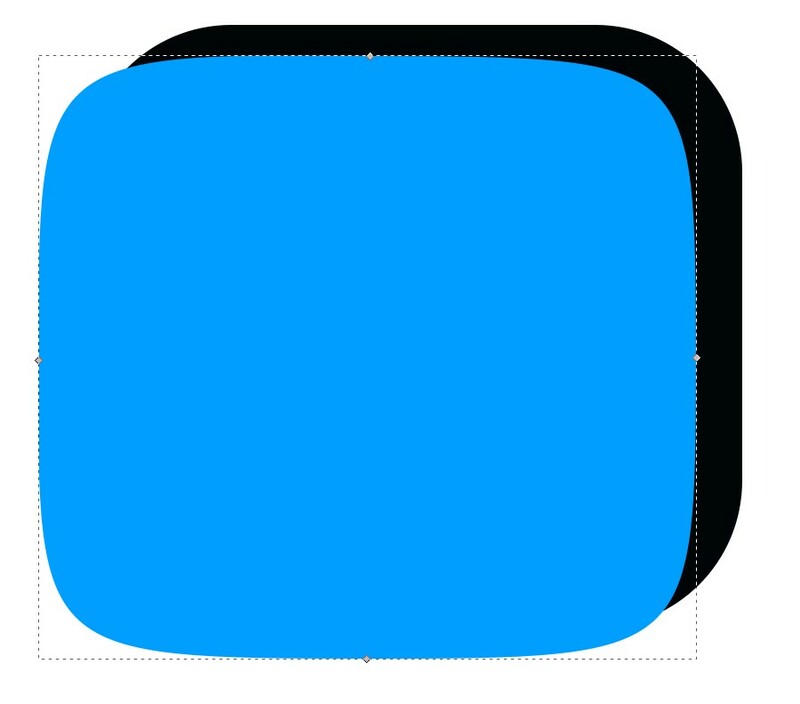 Your version at the left has the corner replaced by a fourth of circle. There's an abrupt change from straight horizontal or vertical line to circle. Human sight recognizes a step in the curvature, no matter the direction changes still smoothly- except it doesn't because practical renderings are made of pixels, so also the direction has a step, but in high res that's neglible. I am sorry I can not give you an exact answer for Illustrator because I am using Corel Draw. A round corner has a very quick change in curvature compared to straight line. This can be seen as a abrupt change where line meets arc. This is a big issue mainly in 3d surfaces but also sometimes for very astute observers in silhouettes of objects. 2D drawing is mainly silhouettes. If i make a curvature plot, that plots the inverse of curvature (straight lines are infinite which is hard to draw), you can see this better. A circular curve has constant curvature* where as a curve with a longer tangent has a gradually increasing curvature. Thsi gradually increasing curvature is smoother. Ideally you would match curvature on both sides of the curve boundary. 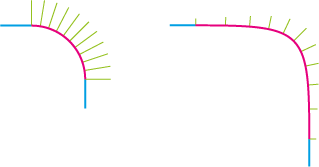 But this isn't easily done with a symmetric span bezier (impossible in this case). Now this is much more important in 3d, so 3d apps have tools for this. In 2d being close enough is often perfect, but in 3d surfaces this is not the case. * if you think the curvature of the circular arc isn't constant then your right. 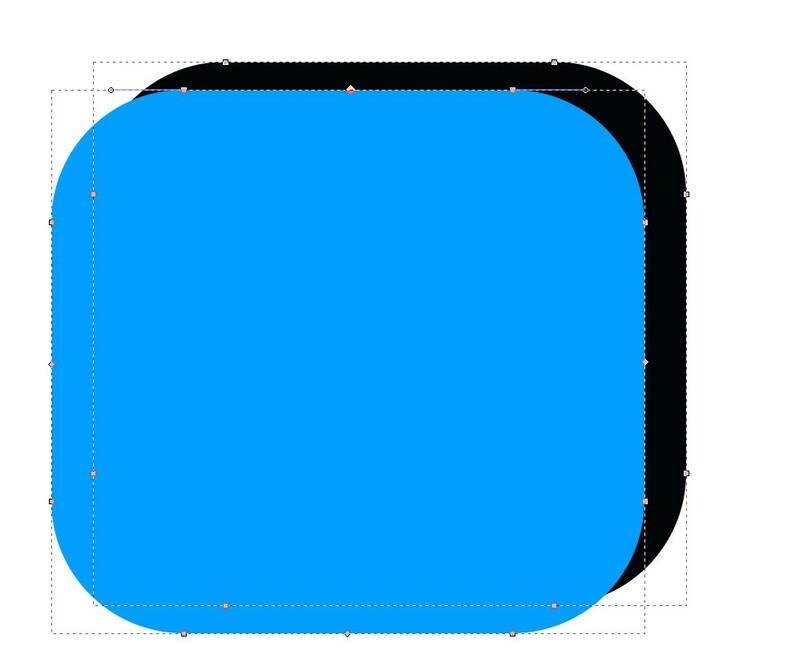 Illustrator is incapable of making circles, since Bézier curves can not make but approximate circles. And the error is much more visible in higher derivates of the curve, and thus visible in curvature plots. Not the answer you're looking for? Browse other questions tagged adobe-illustrator vector export icon png or ask your own question. I downloaded an icon pack, how do I get each icon separately? 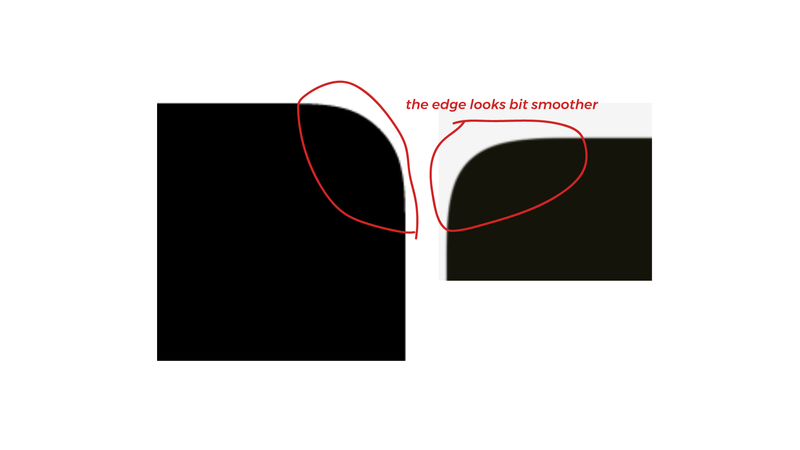 How to fix light edges on resized PNGs from Illustrator?